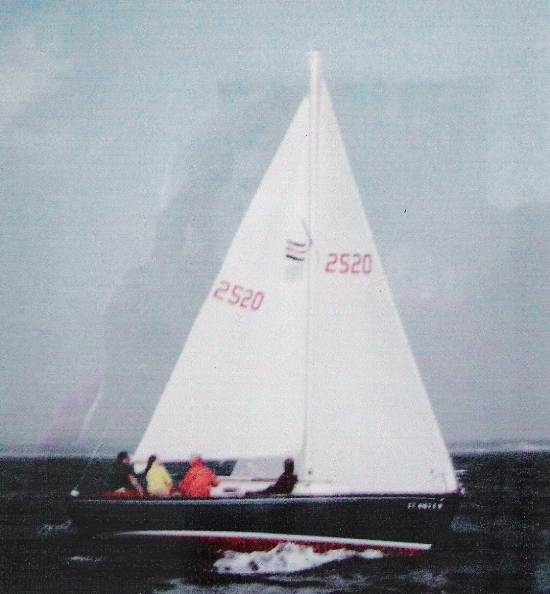 Andy sent in this late 1960's photo of Tigress taken at a Storm Trysail Block Island Race Week. Andy bought this boat in the early 1960's from George Sossman (Mei-Mei) at Shennecosset YC in Groton, CT, and renamed her Tigress. She was not in great shape but he fixed her up, painted her off white/yellowish topsides blue, and added a few 'go fast' items. 1) He got the centerboard to go deeper, about 6", and further forward, by sawing off the 'bump' on the bronze centerboard (click here to check this procedure out). He knotted the control line so the centerboard when released would not come to an abrupt halt against the inside forward edge of the keel. This prevented the line from spinning off the centerboard winch. When he bought the boat she had 300 lbs of internal lead ballast under the floor that, in Andy's opinion, helped her performance. At one point her removed 150 lbs in a 'lighten the boat effort' and felt that the boat did not perform as well. This subject is discussed in an interesting 1967 Olin Stephens letter that appears in our Technical Section article on Weight. This boat has a spectacular racing record, and unfortunately is now on hard times. Her current name is Darwin and at last report was located at the Pine Island Marina in Groton, CT where she had been abandoned. There have been several people looking at her raising hopes of her being eventually rescued. Click here to go to Darwin. 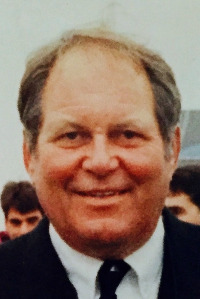 Allen N "Andy" Anderson, 83, of Stonington, CT, passed away on May 25th, joining his wife and soulmate Deborah Dey Anderson. Andy grew up in Chatham, MA, and served in the army during the Korean Conflict. Upon graduating from the University of Maine with a degree in mechanical engineering, he began a thirty-one year career at Electric Boat Division of General Dynamics rising to the position of Manager of Planning. Andy was a gifted sailor, and was extremely successful in the Off Soundings racing circuit as the skipper of “Tigress.” He was an active member of the Ram Island Yacht Club in Noank, CT since 1959, and served as Commodore in 1984; a member of the Wadawanuck Yacht Club and served as Commodore of the Off Soundings Club from 1997-98.